Need suggestions for those New Years Eve parties? Keto guacamole is a quick and easy option that is always a crowd pleaser. We love serving it with cheese crisps or vegetable sticks. 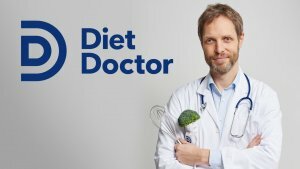 Even your non keto family and friends will love this recipe. Guacamole is one of those recipes that is great to have up your sleeve as it’s so versatile. Whip some up for a party or when entertaining, have some to add fat to your bacon and egg breakfast, or add to any Mexican dish like fathead dough cracker nachos. 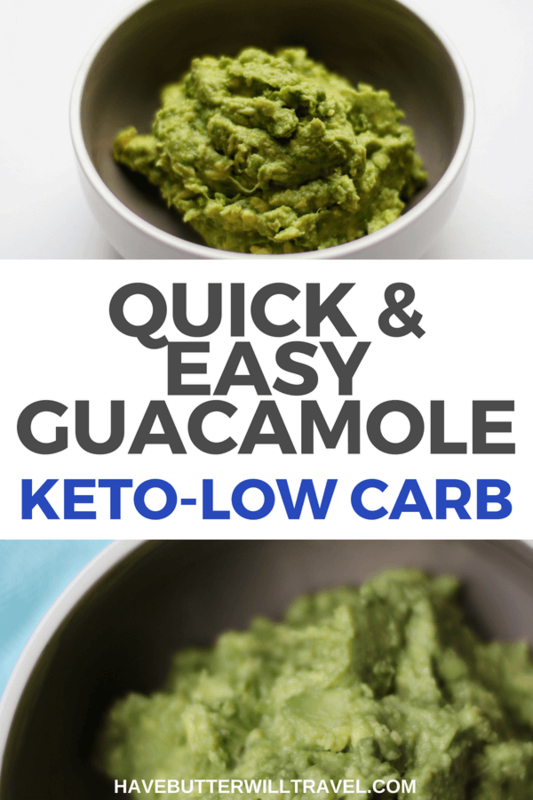 This Keto guacamole is such an easy go to when you need to take something to a BBQ or a potluck. It’s super simple to make and is always a crowd pleaser. You could pair it with some cheese crackers or low carb crackers and it will be a big hit with all your family and friends. We love to have some guacamole made up in the fridge so we can easily add a dollop of flavour and fat to any meal. Avocados are one of the most popular foods to eat on a ketogenic diet and what is not to love! They are full of healthy fats and fibre and are also a great source of copper, potassium, folate, zinc, iron, manganese and magnesium. So basically avocados are low in carbohydrates, high in healthy fat and packed with nutrients, pretty much a keto superfood. Great to add to any Mexican dish. 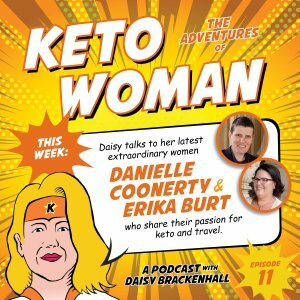 We love Mexican flavours and some of our favourite keto recipes are Mexican. This keto guacamole is a perfect addition to our chorizo chilli, on top of your taco salad or with your cheese shell tacos. Guacamole goes really well with cheese crackers, salami crackers and vegetable sticks. You could add it to a grazing platter when entertaining. 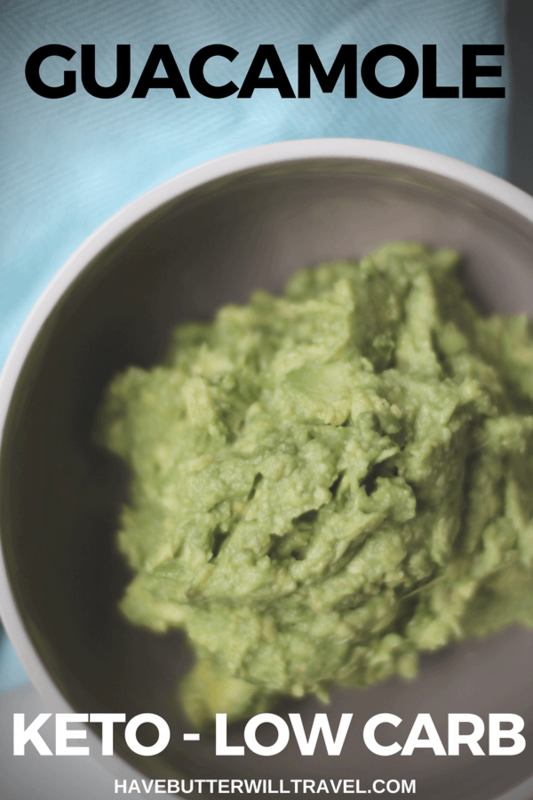 We love to use this guacamole as part of our bacon and eggs breakfast on the weekend. This breakfast keeps us full all day. This recipe uses French shallots, check out this excellent explanation. I prefer to use these as they have a milder and sweeter flavour than an onion. Of course you can use onion if you prefer that flavour. I prefer the guacamole simple like this, however you can experiment by adding extra ingredients like chilli or coriander. 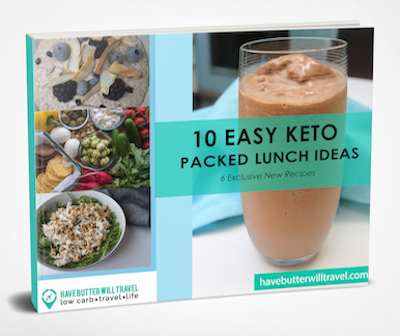 Tag @havebutterwilltravel on Instagram or Twitter with your keto guacamole photos as we would love to see your creations! Check out our other dip and sauces. Need suggestions for those New Years Eve parties? 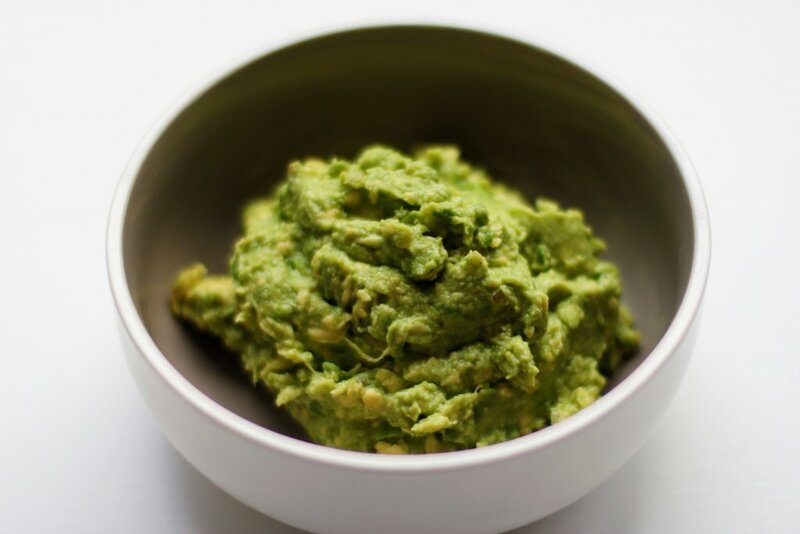 This keto Guacamole recipe is a quick and easy option that is always a crowd pleaser. Pour the lime juice over the shallots in a small bowl and leave for 5 minutes. Remove the avocado from the skin and discard the seed. Add to the lime juice mixture and mash with a fork to the desired texture. Add salt and pepper to taste and mix through. Thank you for posting so many great ideas. I have been struggling for a year with preparing meals for others. I am never comfortable. Love your page! Thanks so much for your comments. We hope you find some of our recipes helpful. 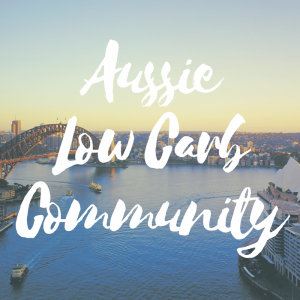 If you feel you need extra support join our Facebook group Aussie Low Carb community.